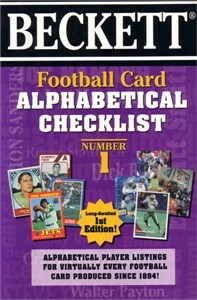 Beckett Football Card Alphabetical Checklist Number 1 softcover book published in 1997. 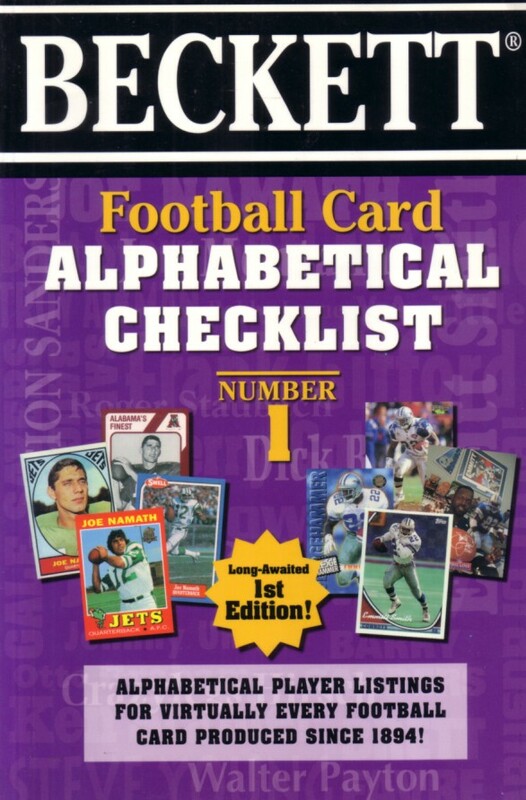 A few pages have edge wear or wrinkling, otherwise flawless condition. ONLY ONE AVAILABLE FOR SALE.